This 223 Rem ammo by Fiocchi offers tack driving accuracy rivaling more expensive match grade ammo at a much more attractive price point. 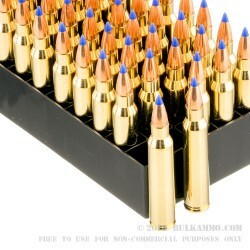 This ammo features a 40 grain V-Max projectile made by Hornady loaded on top of high quality, reloadable brass casings. The V-Max bullet is designed to fragment on impact making it great for long-range praire dog hunting with its flat trajectory and explosive energy transfer. 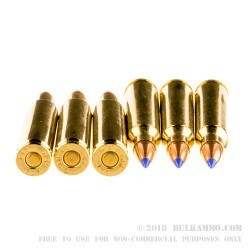 This ammo is made by Fiocchi which sports a proud Italian heritage and today operates a large manufacturing plant in Lecco, Italy as well as a growing manufacturing site domestically in Missouri to be located closer to the important US market.